Bookmaker is considered a ‘must’ by experienced players since they are often the first to post lines on a variety of sports and never kick out winning players. 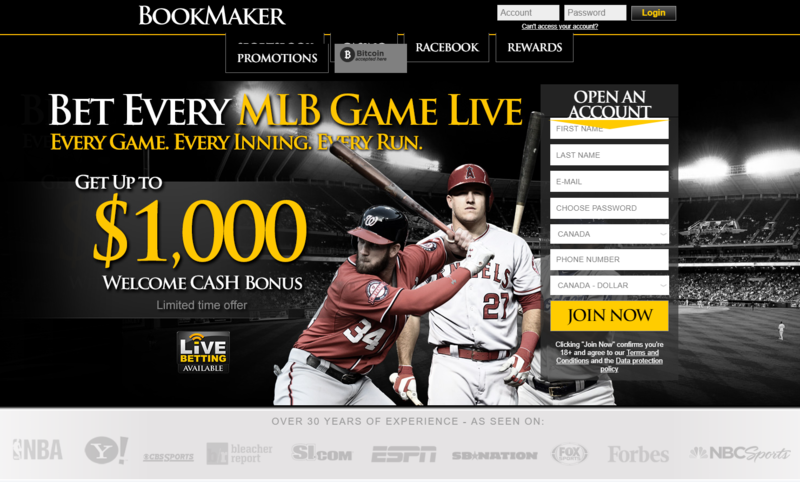 Bookmaker is one of those books that every serious bettor should have an account with. First to post lines, huge selection of wagering options, generous deposit bonuses and loyalty program, and great customer service; whether you’re a professional or recreational bettor, this is the book for you. Founded in 1985, in the gaming friendly jurisdiction of Costa Rica, Bookmaker.eu has been providing a safe, secure and trustworthy gaming option for almost 30 years. Bookmaker offers all the traditional bets on every major sport as well as a long list of exotic wagers like: NBA & NCAAB 1st and 2nd halves, Alternative lines, Game props, Future bets, 2 to 7 team basketball teasers (5 - 6 points) and 2 to 15 team parlays (true odds paid). Plus, LIVE Betting on EVERY nationally televised game. New this year, Bookmaker has added a $25,000 Streak Contest where players can pick daily winners and win free plays and a grand prize of $25K CASH. Free to enter. Every Bookmaker customer is automatically enrolled in the BetPoints Rewards Program where they earn points on their sports, casino and poker action, which they can redeem for great prizes such as cash back, free payouts, Amazon gift cards, Bookmaker gear and more. Bet the game LIVE as the action unfolds, play-by-play with Bookmaker’s LIVE betting platform. Bet on every play, every possession and every at bat. Live betting examples are next player to score, what the next play will be, will the batter strike out, walk or hit. The minimum bet is $1 and the maximum bet is $500. Desktop, tablet and mobile compatible.